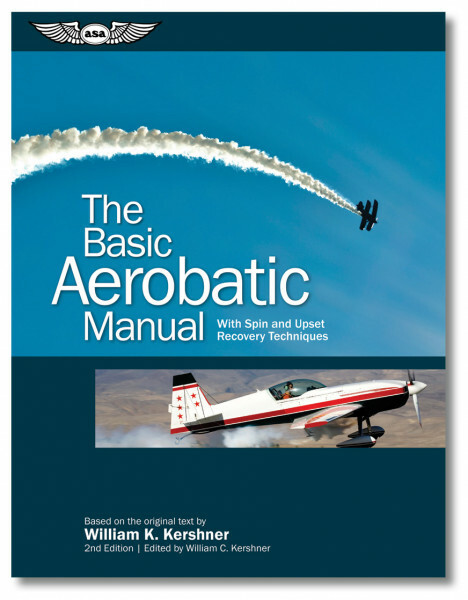 The Basic Aerobatic Manual: With Spin and Upset Recovery Techniques, Second Edition, is a complete reference for the beginning aerobatic student, with invaluable unusual attitude and spin recovery information for the more straight-and-level flyer. This book emphasizes techniques for the Cessna Aerobat models, but the described maneuvers easily translate to other aerobatics-certified airplanes. Starting with stalls, chandelles and lazy-8’s, the student is guided through spins and the Three Fundamentals of basic aerobatics: the aileron roll, loop, and the snap roll. Once these basics are learned, the combination maneuvers (the cloverleaf, for example) are covered in-depth. For the pilot more interested in flight safety than aerobatics, there is a chapter on unusual attitude (upset) recovery. Returning to controlled flight solely by reference to instruments is examined closely. The chapter on spins and spin recovery benefits from the knowledge gained in over 7,000 spins, each having from 3 to 25 turns, in the Cessna Aerobat. William K. Kershner started his solo aerobatic career in a Stearman N2S at the age of 17. As a flight instructor, he later operated an aerobatic school in Sewanee, Tennessee using a Cessna 152 Aerobat, until his death in January, 2007.